Forum Index > Makers and Manufacturers Talk > Karabela type of classic form. Posted: Sat 27 Feb, 2016 3:09 am Post subject: Karabela type of classic form. A colleague fell in love with the saber. He asked for a few changes. Blade with greater curvature and more Polish shape of the handle. Now I rebuker some pictures of the work. yelman or back edge.Beginning of the 18th century. Tomek, can you discuss how you make such a graceful curve into the blade ? How are they fastened? Are there little rivets or do you use a glue? Tomek, I love that handle. Very nice recreation of a fabulous piece! Blade shape is awesome and terrifying perhaps. Very nice to see. Matthew, the pretty curve of the blade just hammer and fire thank you like it. Brian, the original saber has little rivets, but a colleague wants a smooth handle. He will not destroy the leather glove. It is his wish. The work finished. I hope you like it. Karabela made According to the wishes of a friend. Ready to fencing and shows. Absolutely inspiring work... Thanks again for sharing detailed photos of the progress and finished saber, Tomek. Cheers! Beautifully accomplished, TK, every aspect ! Very incredible Tomek, I think it's a very nice piece. The blade is a very great shape. small detail at the beginning of the yelmen ( does it have a particular name ? The Polish word for Yelmen is Pioro, which I think of like "quill" or "feather". 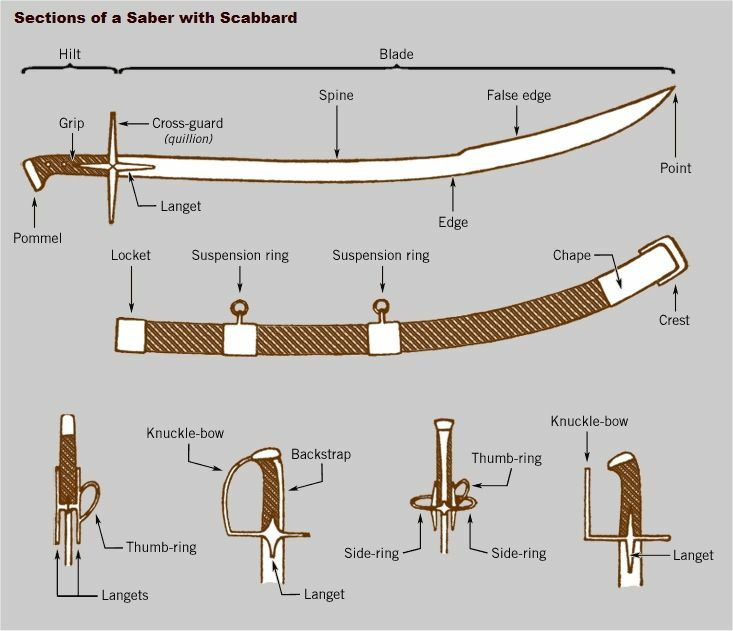 If you mean the slight notch at the transition of the pioro and the rest of the blade towards hilt, I don't know the name. Kem thanks for the rescue. I forgot what it means to "Yelmen." I have a couple of hours prepare a board with the names of parts of the saber. Few names in Polish construction saber. These names will look at Google pages Polish. And other names to look for. Unfortunately, Google shows a lot of items of very poor quality steel. Posted: Tue 22 Mar, 2016 3:32 am Post subject: Karabela type of classic form.